Out of New York City, Polyvamp is a high-energy groove, rock, electronic and funk experience. Each show delivers new experimental jams that create funky soundscapes and musical adventures. 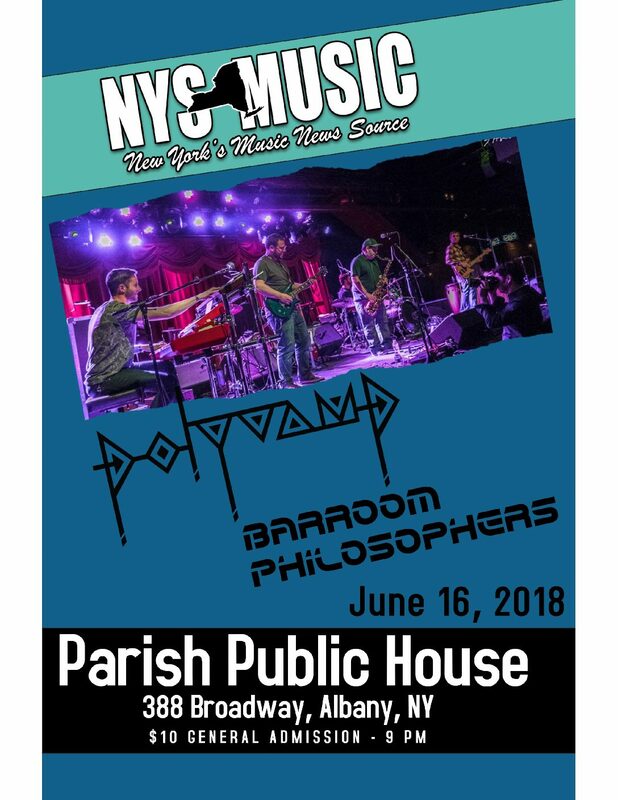 Curating their sound from each member’s diverse musical background and style, Polyvamp brings a unique blend of composed songs and improvised jams to its live experience. The band has embraced a cross-generational diversity and formed an amazing collaborative spirit towards writing, developing and performing music. As a full six piece band, the band has played the city’s top music venues including: Brooklyn Bowl, American Beauty, Drom, Knitting Factory, The Hall at MP, and Arlene’s Grocery, sharing the stage with national and regional talent including members of Lettuce, Kung Fu, Turkuaz, Trey Anastasio Band, Scott Sharrard, Karina Rykman, Fruition, Swift Technique, DeadPhish Orchestra, Teddy Midnight, Formula 5, Sprocket, Space Bacon, Chromatropic, Tweed and Flux Capacitor. Polyvamp performed at NYC’s renowned CMJ Music Festival in October of 2015. From its studio in Harlem, Polyvamp continues to create and explore new “vamps” for its live show experience and the enjoyment of fans who love high energy musical adventures.